I have a quick post for you today.First, I would like to let you know that I finally have a Lollyrot Scrapbooking Facebook page and all you have to do is to check out the link right here and click the button ''Like'' . Now, I want to share with you another beautiful card I made for CASE Study. 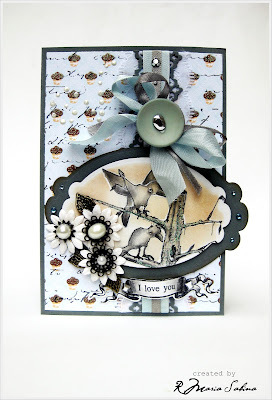 I used : Tree , Birds and bugs Cube , Vintage script and I love you scroll all by Stampotique Originals. I appreciate you dropped by, and I wish you a wonderful week ! Love this piece! Great use of the birds stamps! Wow! 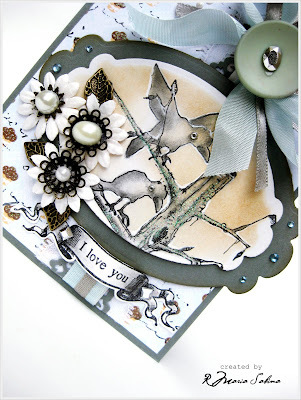 So many fabulous elements to this card: I could sit and stare all day long! i see cupcakes! cute card! This is amazing Maria!! I have so much trouble using this set of nesties but you have given me hope- you have used them beautifully! You have such a polished style- great card! You do such amazing artwork! LOVE THIS!!! This is truly unique and beautiful, Maria. Great script with cupcakes…genius, really! I love your scroll sentiments; so elegant. That curvy button (?) 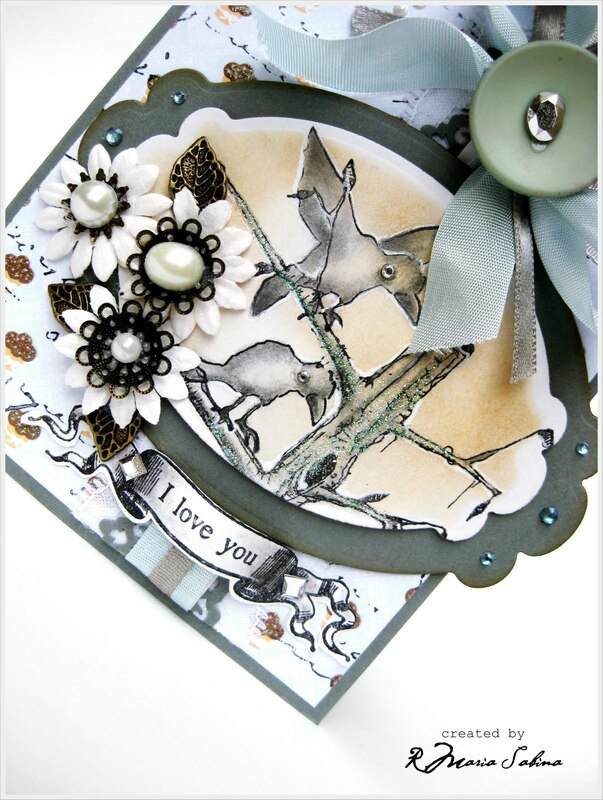 is really a fab embellishment too as are the birds' eyes.